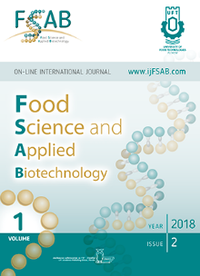 The influence of the new flour nutrient substrates with the introduction of phyto raw materials on the viability and activity of lactic acid bacteria cultured in liquid acid-forming ferments, which are used for making bread from rye flour and mixture of rye and wheat flour, are established. It was established that the phyto raw materials leads to the stimulation of lactic acid bacteria. The highest stimulating ability is Echinaceae purpurea herba, and then Salviae Folia, Artemisia absinthium herba and Cortex Quercus. Phyto raw materials as a component of flour nutrient substrates improves microbiological characteristics of liquid acid-forming ferments, in particular increases the total number of lactic acid bacteria and increases their activity. New conditions contribute to the accumulation of flavoring and aromatic substances that produce these microorganisms. This improves biotechnological properties of liquid acid-forming ferments, and thus will lead to increasing of consumer properties of bread from rye flour and mixture of rye and wheat flour. Afanasyeva, O., Microbiology of bakery products. St. Petersburg: Beresta, 2003, pp. 150–220. Auermann, L., Technology of bakery production. St. Petersburg: Profession, 2009, pp. 200–278. Karnyshova, L. and Sevastey, L., Methodical instructions for testing the quality of semi-finished bakery products, Scientific production Republican unitary enterprise «Beltechnohleb», Minsk, 2008, pp. 1–15. Royter, I., Influence of technological factors on the quality and flavor of the rye-wheat bread. Moscow, 1972, pp. 1–44. Samuylenko, Т., Gurinova, T., Sidaruk, V. and Maksimuk, K., Flour mixture with the introduction of biologically active phyto raw materials for acid-forming liquid ferments. J. «Food Science, Engineering and Technology – 2016»: Scientific Works of University of Food Technologies Proceedings of the 63rd Scientific Conference with International Participation, 2016, Vol. 63, Issue 1, Plovdiv (Bulgaria): University of Food Technologies, pp. 128–132. Samuylenko, T., Modeling the life cycle of yeast and lactic acid bacteria in biotechnological processes of baking production: report about scientific research work (№ of state registration 20163247), Establishment of education «Mogilev State University of Food Technologies», 2017, pp. 30–118. Starovoitova, A., Bazan, A., Fedorov, F. and Fedorenchik, L., Methodical instructions on sanitary-microbiological control of bakery enterprises, State enterprise «Beltechnohleb», laboratory indication of infectious and parasitic diseases, State institution «Republican centre of hygiene and epidemiology» of Ministry of health of the Republic of Belarus, Minsk, 2002, pp. 1–30. Institutions based in the EU with a valid photocopying and/or digital license with the Copyright Licensing Agency may copy excerpts from books and journals published by the Academic Publishing House of UFT Plovdiv under the terms of their license. Institutions based in the US with a valid photocopying and/or digital license with the Copyright Clearance Center may copy excerpts from books and journals published by the Academic Publishing House of UFT Plovdiv under the terms of their license. Other Territories: Please contact your local reproduction rights organization. If you have any questions about the permitted uses of a specific article, please contact us.